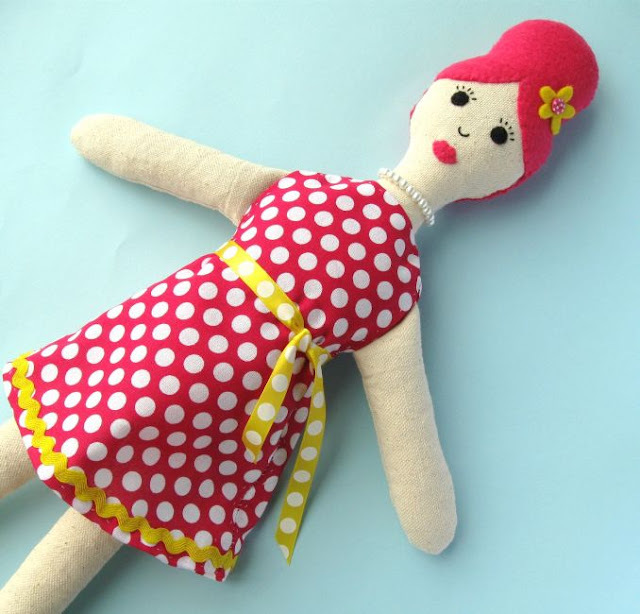 This month's freebie for my newsletter subscribers is a tutorial for sewing a decorative rag doll from felt and fabric. 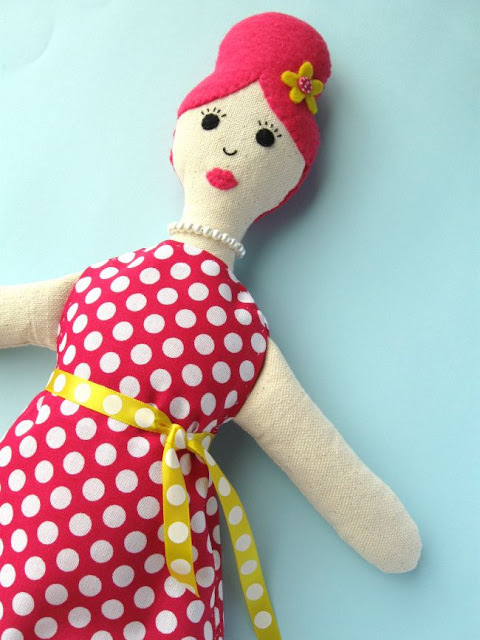 I designed this doll for a magazine a few years ago, but since the issue is long out of print I thought it'd be nice to share the pattern with you guys! 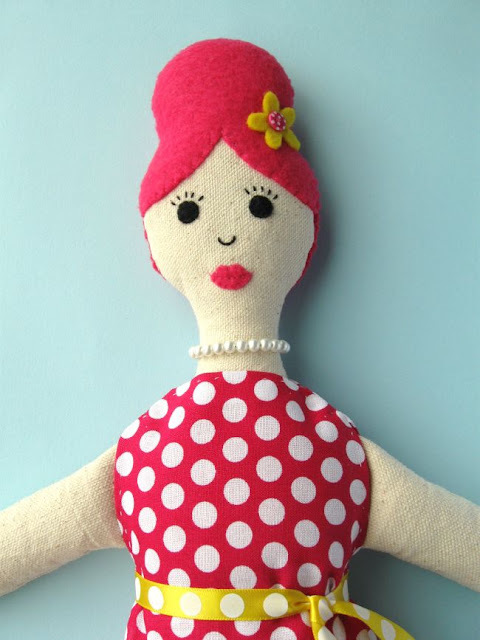 The doll has lots of cute details - a beehive hairdo complete with a flower, pretty eyelashes, a beaded "pearl" necklace, and Mary Jane shoes. 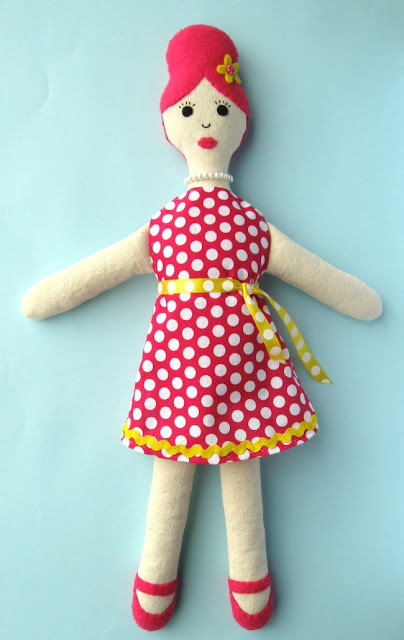 You could also easily adapt the basic doll pattern to give her a different look, or make a set of dolls with different hair colours and patterned dresses. 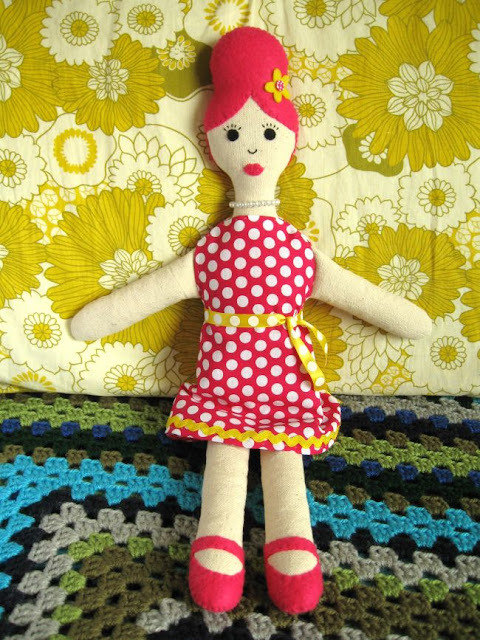 Please note: this doll is designed as a decorative item, not a toy. Make sure you display it well out of reach of young children! Click here to subscribe and get a monthly free pattern! For more crafty goodness, you can also subscribe to my weekly crafty newsletter, or updates about new patterns in my shop and special offers. For lots more free tutorials, visit my archive.